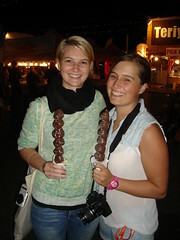 Friday last week we went to the Richmond International night Market. Quite a few met up for this special night market. However, we quickly realized that we definitely weren’t the only group of people who had the idea of visiting the market. Lots of people were visiting the market, and the line for the entrance was overwhelming. The long line wasn’t a problem though, as you could spend your time taking pictures while waiting. However, some people didn’t have the patience to stand in line, so they bought a VIP entrance card for 20$ instead of the ordinary 2.25$. This was great fun to us because it seemed a bit desperate. On the other hand, probably all of got just a little tired of listening to the jingle that was playing over and over again while we were waiting in line. As we entered the market it was clear that not only food but all kinds of other stuff that “you just can’t live without” was being sold. Everything from mobile covers to special microfiber mops was sold. 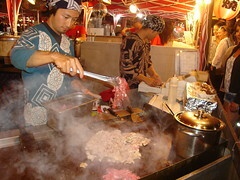 For sure this market isn’t your ordinary type of food market. Some of us tried out exotic dishes, while others were more into the various l kinds of candy on offer. For instance you could get strawberries covered in chocolate. 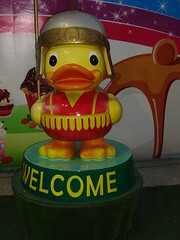 Besides the numerous stalls, a massive inflated yellow duck next to the entrance made this market a bit out of the ordinary. Thanks to all of you who showed up! Once again remember there’s no pub night this Wednesday due to our pub & club night Friday. Time and place will be announced soon. 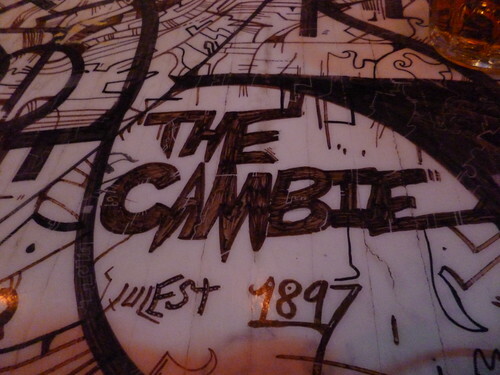 This time we chosen one of my favourite pub’s here in Vancouver and this is of course THE CAMBIE and that means cheap beer and tons of fun. So we will meet at 7pm on Friday at the Cambie and have some drinks there and afterwards we can go to the nightclub called Caprice or Joseph Richards. I hope you all gonna join me for my last Pub & Club Night here in Vancouver. Please keep in mind that the Pub is 19+ and have two pieces of ID’s with you. With June beginning it is time to review the month of May and preview June and of course we do this in style… with a video. We started the month of May with a visit to the extreme air park in Richmond. 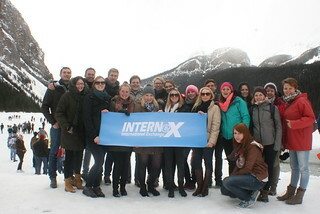 It was so much fun there if you did not had the chance to join us it is definitely worth going there! On the 9th of May it was time to do some relaxing activity with a visit to the cheesecake etc. Cheesecake etc is famous for their cheesecake and is only open at night. It is a really nice cozy restaurant and the cheesecake is delicious, afterwards we went to the Doolin’s for some drinks. 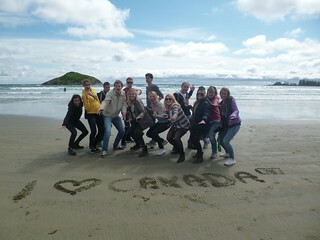 In the mid of May we had our monthly overnight stay in Tofino. We went to Tofino for three days and had such a great time, we went surfing, whale watching, bear watching, kayaking and we had a little campfire near the hotel. 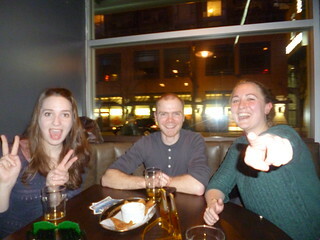 After the Tofino it was time to go partying again in Vancouver with a Pub & Club night at The Pint. 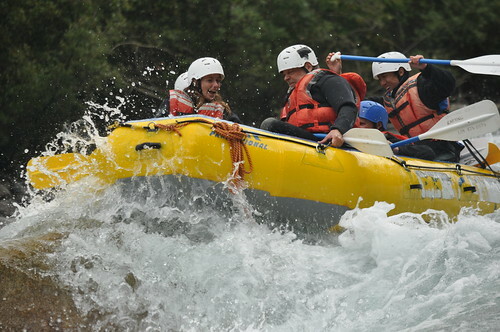 In June we will go White Water Rafting in Chilliwack with Lee. 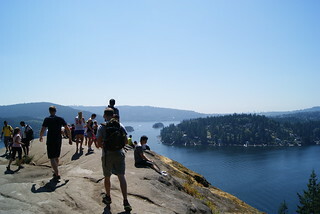 In the second weekend we will go for a bike ride around Stanley Park and have nice little rest at one of the beaches. On the 21st of June it is time to support our German soccer team with some drinks and food. We will end the month of June with a Pub & Club night were we also sadly have to see goodbye to Daniela, so make sure you are there! And of course we will have our weekly pub nights on Wednesday’s so keep your eyes out on Facebook. We hope you enjoyed May and will enjoy June, see you at the activities! May is already over and June is coming up. We have awesome things planned for you guys this month. 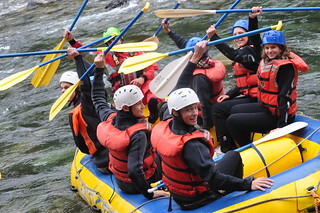 The first weekend in June we will go for our monthly overnight trip to Chilliwack to practise our white water rafting skills. We will meet on Saturday the 7th of June at 2pm at Waterfront station. We will make our way with our little sweet van to Chilliwack where we have a campfire night and some games going on. The next morning we will go to the wild river for our rafting. After 3-4 hours rafting we will make our way back to Vancouver where we arrive at around 6:30pm. 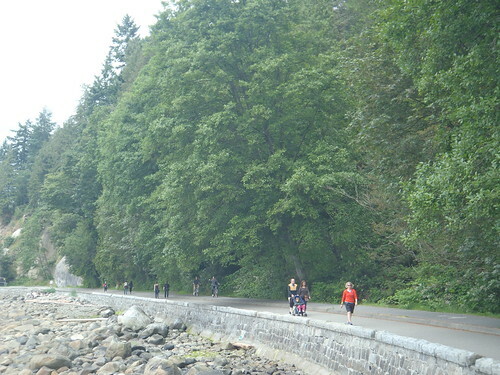 On Saturday the 14th of June we planned a bike ride trough Stanley Park. Afterwards we can make a rest at one of the nice beaches and see where our night ends. Finally the World Cup starts for Germany as well. We will support our team on Saturday the 21st of June for their second game against Ghana. The soccer match starts at 12pm so we will meet at a Pub where we can watch this game. The last weekend in June we will end with a Pub & Club Night on Friday the 27th of June. We will start of course as always at the Pub called Cambie and afterwards we will find our way to a club where we go crazy on the dance floor. We have tons of fun planned for you, here you can find a short preview. It’s feels like such a long time ago that we had a Pub & Club night, so what is better than getting rid of this feeling. On Friday the 23rd of May we will have another Pub & Club night for you, which means that there will be no Pub Night on Wednesday (May 21st). We will meet at The Pint at 7pm to get the night started with some drinks and food. 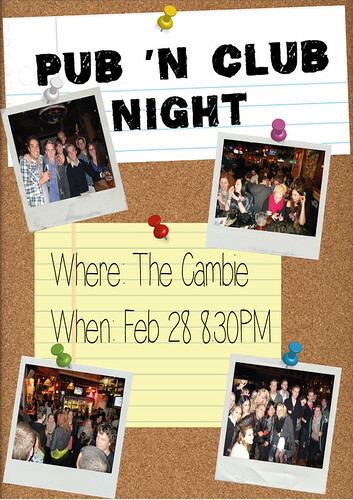 We will probably stay at The Pint the whole night, since it will get pretty crowded and fun later the night! On Wednesday it is time to return to the Bismarck for our weekly Pub Night. The Bismarck is located in the International Village Mall on the side of the Mc Donald’s. We will end the Month of May with a nice bike ride around Stanley Park or we will head out to Deep Cove to get our Kayaking on. Of course those activities will only find place when the weather is nice. If there is rainfall forecasted in this sunny city we will cancel the activity and find a nice coffee place to hang out. We hope to see you all at the activities! It’s time for another highlight of the month video. This time we review the month April and preview May. We started April with a international dinner at the office, where everyone brought typical food from their home country, such as kaiserschmarrn, pasta, stroopwafels and much more. 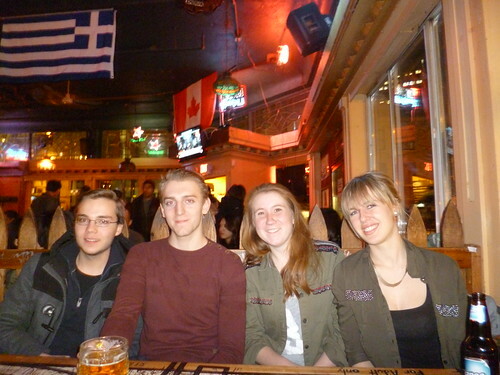 Afterwards we went to the Cambie for some beers. Our second activity was the FlyOver Canada experience. And than of course we had our amazing Rockies trip during the long easter weekend, back in Vancouver we had a after rockies party. In May we have new fun activity planned for you. On the 3th of May we will go to Richmond to the largest indoor trampoline park in Canada. The second weekend of May we are going to Granville Island for some cheesecake and beer. 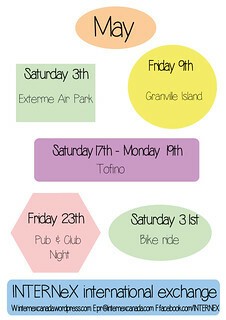 From the 17th till the 19th May we will be in Tofino for our monthly overnight stay. 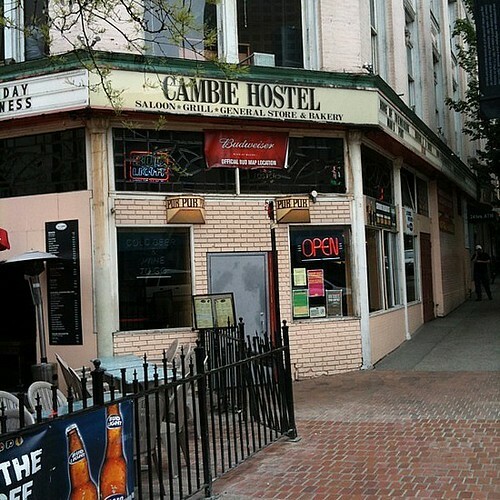 Back in Vancouver we will have a Pub & Club night starting with beers at the Cambie and than going out in one of the clubs on Granville street. We will end the month of May with a bike ride through Stanley park. We hope to see you at the activities in May! Tuesday means we are a day closer to the weekend, and to brighten you even more up here is a list with our upcoming events and trips. On Friday 28th at 7.00pm it is time to return to The Cambies for another great Pub & Club Night. We will officially welcome our ‘new’ intern Daniela and say goodbye to the lovely month February and welcome March with some food, drinks and dancing. Check our facebook event for more information. March 8th and 9th it is time to return to Whistler for an epic weekend of skiing, boarding, zip trekking, tubing, nightlife and all the other fun activities. We will stay in a hotel with fully equipped kitchen and hot tub, what else do you need? We will depart at the 7.00am on March 8th and come back around 7.30pm on March 9th. 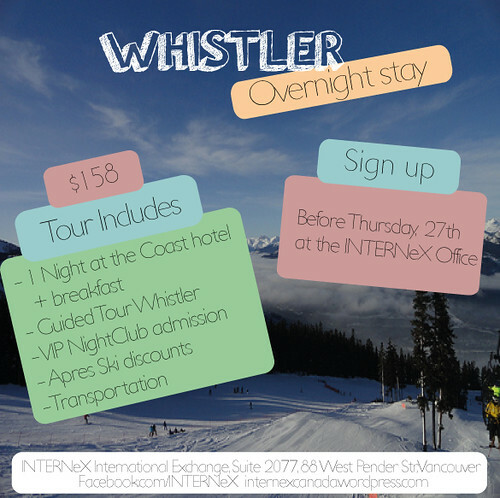 See our post about whistler for more information or check our facebook event. If you want to join, please make sure that you pay before Thursday 5.30pm, you can stop by our office to pay. If you have any question, we are happy to answer them. 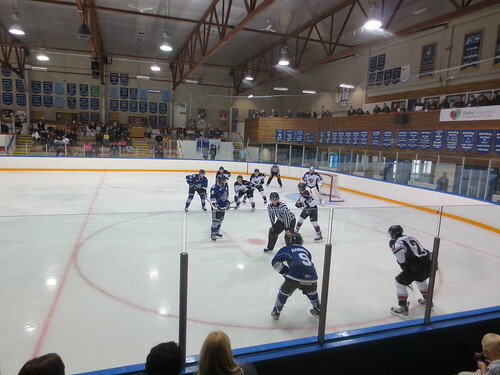 Friday 14th we will watch the Giants playing Kelowna Rockets at 7.30pm. The tickets will be around $20, depending on the attendances. It will be the last chance for you to see the Giants play this season, since the season will be end mid March. Keep an eye on the blog and facebook for more information. 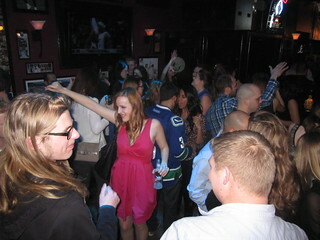 And of course we have our weekly Pub Nights on March 11th (yes, a tuesday), and March 26th. We hope to see you at the events!